It can be tough to create effective and engaging content on social media. ...That’s especially true if you’re an insurance, banking or finance company. Why? Because there are lots of terms and conditions your customers need to comply with, and you often need long-term commitments from them. That leads to lengthy and complex sales processes that might take a couple of weeks for your audience to go from follower to customer. How does that length sales process work on social media: A place where people want bitesize content and to browse for fun? 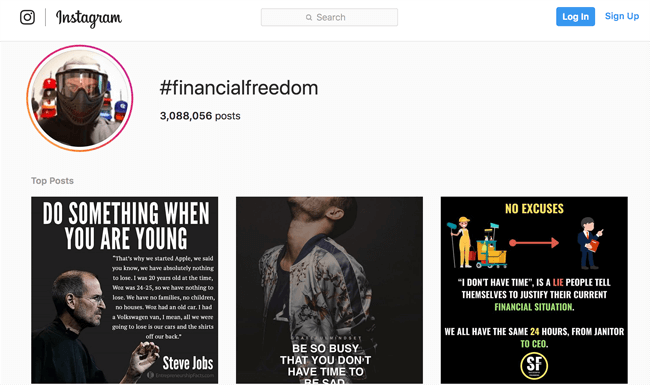 In this blog post, I’m sharing the answer—along with examples of finance brands using social media as inspiration to fuel your own strategy. Chances are, you know what I’m talking about when I say the words ‘fiscal’ or ‘net income’, and you understand how ISAs work. Your customers? They might not—especially if they’re not a business. That’s why you should always try to explain financial terms in layman’s terms to provide education and get yourself on their level. Jargon might alienate your social media followers, so stick to speaking how they would. I’ll bet you get much more value from that 15-second video than you would from a lengthy tweet on why HSAs are important, right? That’s the kind of value you want to be giving to your audience. You can find out which lingo you should ditch (or explain) on social media by surveying your audience. Send a questionnaire that asks current customers to tick the finance lingo they don’t understand. Or, you can compile the questions your customers frequently ask at physical branches, over the phone and email. You might find out that 90% of your customer base still don’t know what ‘equity’ means—even if they have a mortgage. If they don’t know, there’s a slim chance your social media followers will, either! (Bonus: This original data makes for the basis of a great press release. Found a shocking statistic about your customers, or a unique take on the way people think about the finance industry? Interactive content gets people to do something, rather than passively watch or read it. And on social media, a place where you’re competing for the attention of over 2.5 billion people all over the world, that’s something you need to take advantage of. Why not do the same when creating your own social media videos? This type of interactive content gets your audience involved—boosting overall engagement rates, and the chances of social media algorithms pushing your branded content to the top of your follower’s feed. It’s no surprise that 93% of marketers say interactive content is more effective at educating a buyer, versus 70% for standard passive content! Banks and insurance firms can feel very corporate—especially for B2C customers. Granted: Legal contracts and signatures are necessary. But running with that corporate vibe when you’re targeting the general public could harm your attempts to engage your followers because they can’t relate to you. Let’s face it: Who would purchase from a financial brand they thought were out of their league? Instead, focus on helping your audience relate to you by showing off your personality, and proving there’s a bunch of awesome people behind your brand. Notice how much more connected you feel to the brand now you know the story of one of their employees? There’s no reason why you couldn’t give your audience the same feeling. Did you know that 60% of global consumers worry about the hacking of bank accounts or bank cards? It’s not surprising—especially when huge lump sums of cash, ID documents and signatures are on the line. Your financial brand needs to prove you’re trustworthy. The easiest way to do that? 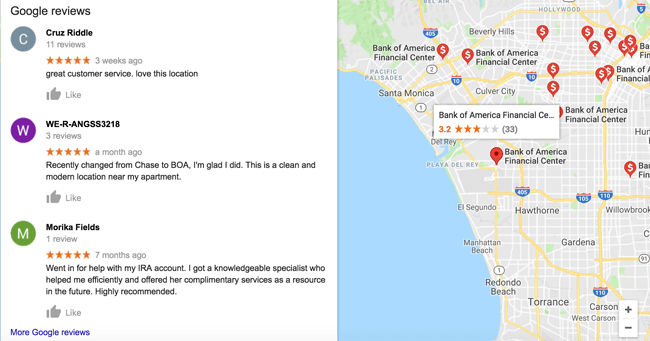 By encouraging happy customers to leave reviews on your social media profiles—proving to potential customers that other people trust you with their sensitive information, so they should too. But what happens if an unhappy customer takes to social media to slate your company? Publicly acknowledging and responding to negative reviews is the best step as once again, it improves your trust. A report by Power Reviews found that 85% of consumers look for negative reviews in order to make informed purchase decisions because too many glowing testimonials can look fake. I’ll bet you’re much more likely to trust a brand that owns and apologizes to unhappy customers, rather than one with 1,000 five-star ratings, right? 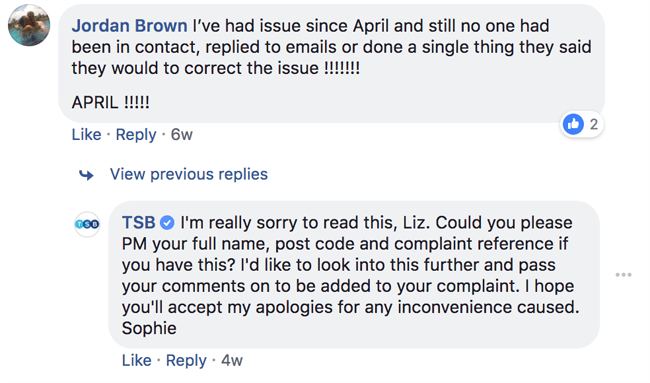 An unhappy customer took to their Facebook Page and left a review about their poor customer service, so a member of the TSB team apologized and asked for more details to investigate further. That’s the secret to a great business apology—even if you’re making one publicly. 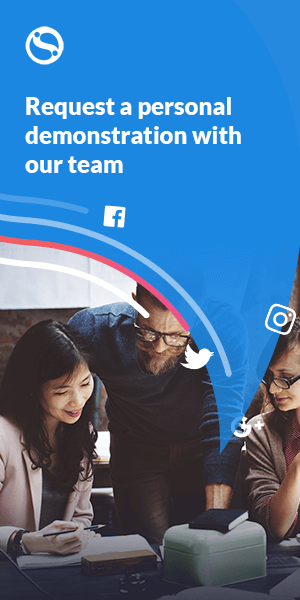 Bonus: Use Sendible’s social media management tool to schedule posts (including Google Posts to your GMB listing) and monitor your brand mentions. Are you sick of me harping on about the importance of trust, yet? Bear with me: I’m not finished just yet. 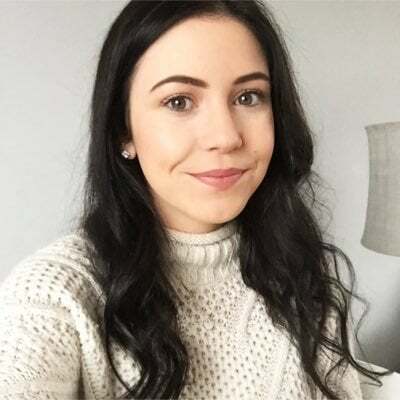 A report by Fullscreen found that 54% of social media users aged 18-24 trust influencer posts, and 44% of the 25-24 demographic trust what an influencer says about a brand more than what a brand says about itself. Why not use that to your advantage and bring influencers into your social media campaigns? Influencers have established audiences who are loyal and engaged—and if they’re endorsing your brand, you’ll be exposed to them. That’s bound to bring a ton of new eyeballs to your social media profiles. I’ve got a warning for you: Make sure that whoever you’re pairing with has a similar audience to your own buyer personas. Otherwise, you’ll be promoting your brand to a group of people who might have zero interest in what you have to say! The finance industry is extremely competitive. If you’re selling a product or service that everyone needs (like a bank account or mortgage), competition will be rife. Cheeky—but it works, and gives their social media followers a reason to bank with them, instead of a competitor. Are you proven to offer better customer service? Are you more affordable than your competitors? Whatever it is that you’re better at, show it off! Fancy another technique to get your social media audience involved, and boost your overall engagement rates? Use emojis in your social media content—a tip that’s proven to get 25% more engagement on Twitter. Plain text is boring, and ditching plain ol’ English for a bunch of fun and exciting emojis could help your content stand out in their crowded feed. Remember what I said about finance being an extremely competitive industry? Asking your followers to respond to your post in emojis—a great form of interactive content! Use Twitter hashflags (an emoji automatically following a hashtag) when you see one that’s appropriate and trending in your feed. If you have a big advertising budget, consider partnering with Twitter to create your own. If you’re struggling to get your content seen by people already following you on social media, you’re not alone. Many platforms (especially Facebook) are becoming “pay to play”—meaning you need to put some cash behind your content to make it seen. But what happens when that cash isn’t available? The answer: Use relevant hashtags to boost your organic reach. That gives your financial brand a fantastic opportunity to target people with an existing interest in your industry, without already following you. They’re yours to engage, encourage a follow and push a purchase! Are you questioning why I’m suggesting to use hashtags in your social media content, even if they’re not related to the finance industry (like those two examples)? The answer is simple: Hashtags boost your reach. And if you’re a financial company selling to the general public, there’s no reason why someone searching for either of those hashtags couldn’t be a potential customer of yours. That being said, it’s important to balance your hashtag usage to make sure you’re not missing out on people actively browsing industry-specific feeds. Now you’re fully in-the-know about how to create great content for your finance brand, there’s no need to suffer from poor follower counts, engagement rates or conversion rates. Remember to always focus on building trust, set yourself apart from competitors by comparing yourself publicly (without being cut-throat), and boost your organic reach by using relevant industry hashtags. Social media will soon become a huge part of your entire marketing strategy—I’m sure of it!